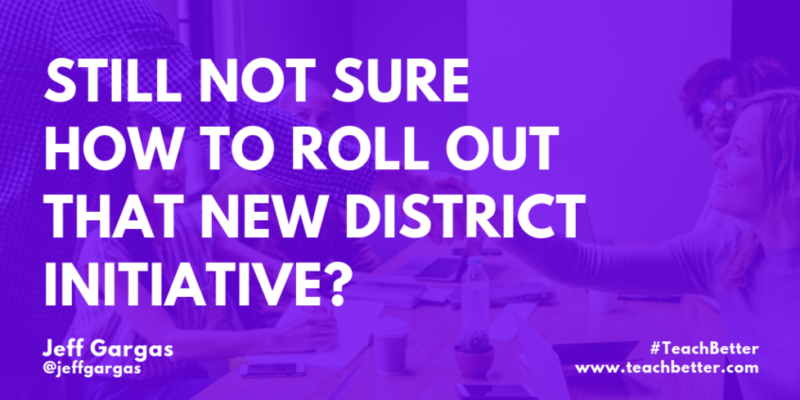 Still Not Sure How to Roll Out That New District Initiative? Working on a new district initiative? One of the most common things we come across when talking with district administrators is the story of that last initiative that fell flat or blew up in their face. 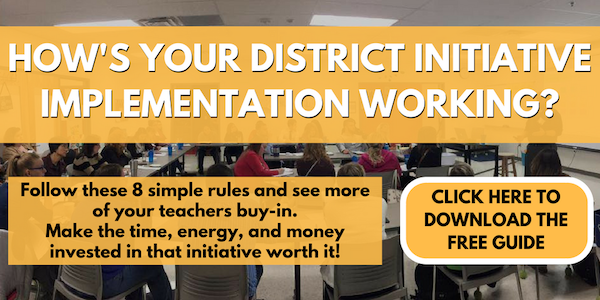 The truth is, rolling out a new district-wide initiative is not easy. It is complicated, stressful, and always presents the potential for push-back, frustration, and wasted time and money. So how do we roll out initiatives more effectively? How do we earn staff buy-in, stakeholder support, and ensure the new initiative fits with the amazing things we already do? Here are some of things we’ve seen work with districts around the country. Communication is key. Be sure to communicate your expectations, listen to your staff’s feedback and suggestions, and keep your door open for ongoing conversations. The most important piece to communicate, though, is the “why” behind your new initiative. Teachers have so much on their plate, and a million things on their minds. Every day presents its own unique challenges, and potential barriers to a successful implementation. You may see a room full of approving nods when you present a new idea, but that does not mean everyone is fully onboard with the additional effort it will take to put things in place. Be sure to take the time to check in with your staff and confirm everyone understands why the new initiative is important, why it is a good fit for their students, and why it makes sense to implement now. One of the biggest mistakes we see districts make is expecting teachers to dive 100% into a new initiative one week after being trained. Depending on what the new initiative is, getting all the pieces in place can take quite a bit of time. A more realistic timeline may be a month, 3 months, or even a year after the initial training. Don’t forget that your staff has a ton on their plates already. Their days are full of unknown challenges, stress, and frustration as it is. So when you add even a small piece to that daily workload, it can feel like a lot. Spend time with your team and lay out realistic expectations. Get feedback from your staff, and make sure everyone agrees that your thoughts are, in fact, realistic for them. Most importantly, though, is that you actually take the time and set expectations. There’s nothing worse than being in a training as a teacher, and having no idea what is expected of you afterwards. If you’re expecting your teachers to take on a new, innovative approach to how they run their classrooms, a 90 minute PD session is most likely not enough. In the same fashion, if what you’re rolling out doesn’t warrant 8 hours of training, you shouldn’t force your staff to sit through a long, purposeless powerpoint presentation. 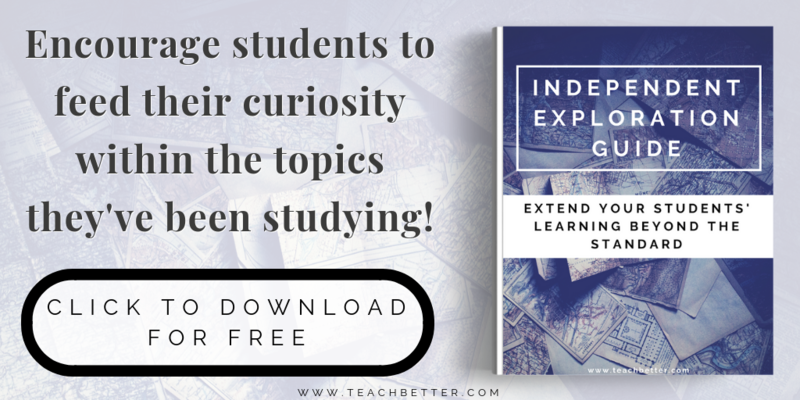 Regardless of what it is, implementing something new in your classroom requires a certain level of knowledge, and the training you offer your staff should provide that. 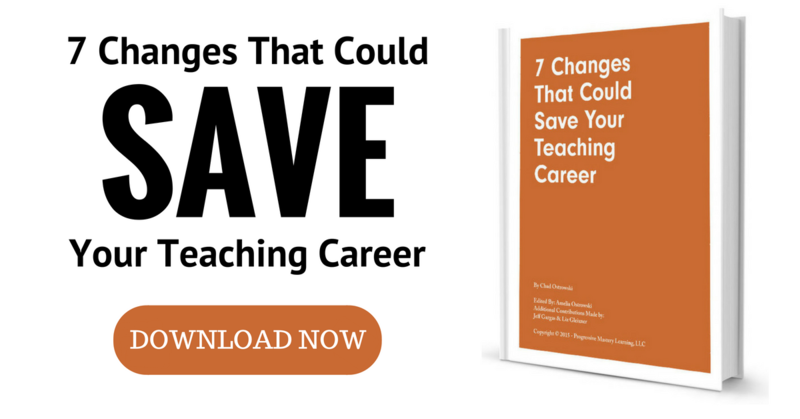 Work with your PD provider and discuss the options with your team. Research what you’re trying to do, talk with others who have done it, connect with experts on the content, and make sure the training you’re providing your staff is sufficient for the expectations you’re setting for them. Not to sound like a broken record, but your teachers have a lot on their plates. Yes, when they’re in the training, they’ll be excited and ready to rock n roll. But when they get back to their classrooms and run into any one of those 500 unexpected challenges, they’re going to need somewhere to turn to for help and guidance. You’ll be there to support them, of course, but you also have a million things on your plate, and you can’t always be there for every question from everyone on your staff. And that is okay. The problem is, when a teacher hits a challenge (or 10) and doesn’t have that support, they’re more likely to give up on the new initiative and go back to what they were doing before. Find out if the people providing the training for your staff offer support visits or not. Quality training is crucial, but that additional support is what can make or break the longterm success of any new initiative. Your vision is bigger than any single initiative, but sometimes when we get rolling on something new, we can lose focus of that bigger picture. Work with your staff to make sure everyone’s focus remains on instruction, and your school’s mission and longterm vision. New initiatives are rarely a complete transformation of that vision. Instead, they’re more likely to be additional tools that you use to meet the needs of that overall mission. Layout a clear picture of what a classroom should look and feel like in your district, what the environment and culture is that you want to create for your students. If your staff can provide your students with that environment, don’t worry if it’s without this new initiative. Instead, focus on offering the support they need to continue providing that for your students. This may sound a little counterintuitive, in a post about initiatives, but the truth is; what matters most is doing what’s best for your students. Always bring your team’s focus back to that. Rolling out a new district initiative is never going to be easy. But there are things you can focus on to make it more realistic. Take the time to plan out the rollout. 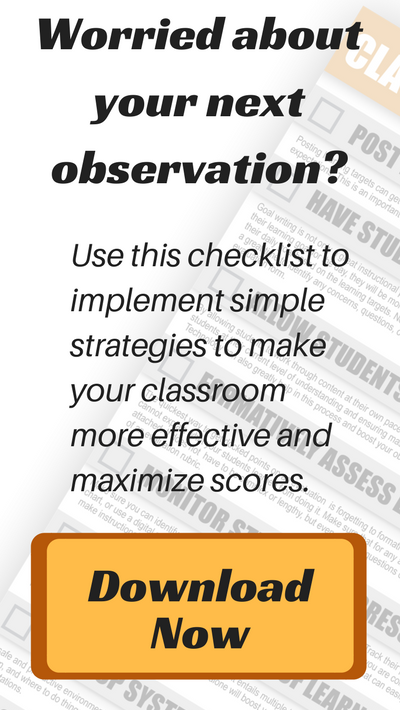 Set realistic expectations, communicate those expectations, and make sure everyone understands why the initiative makes sense for you and your students. 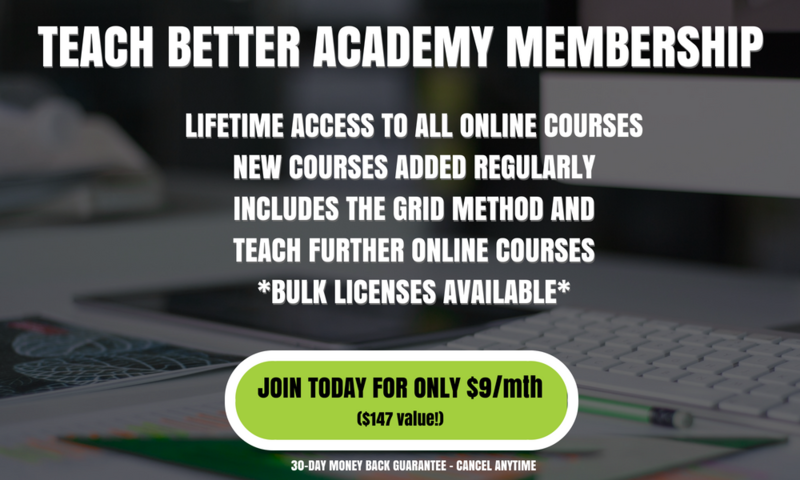 Set your team up for success with the right training and sufficient support afterwards. And most importantly, stay focused on your longterm vision and doing what’s right for your students. Header image photo by rawpixel on Unsplash.